Pretty Neat Studios specialise in laser cutting, engraving and fine art printing. Based in Harrogate, North Yorkshire, they offer creative services to other small businesses and individuals across the UK. With a friendly and efficient service backed by years of technical expertise, they’re ready to turn your ideas into reality. 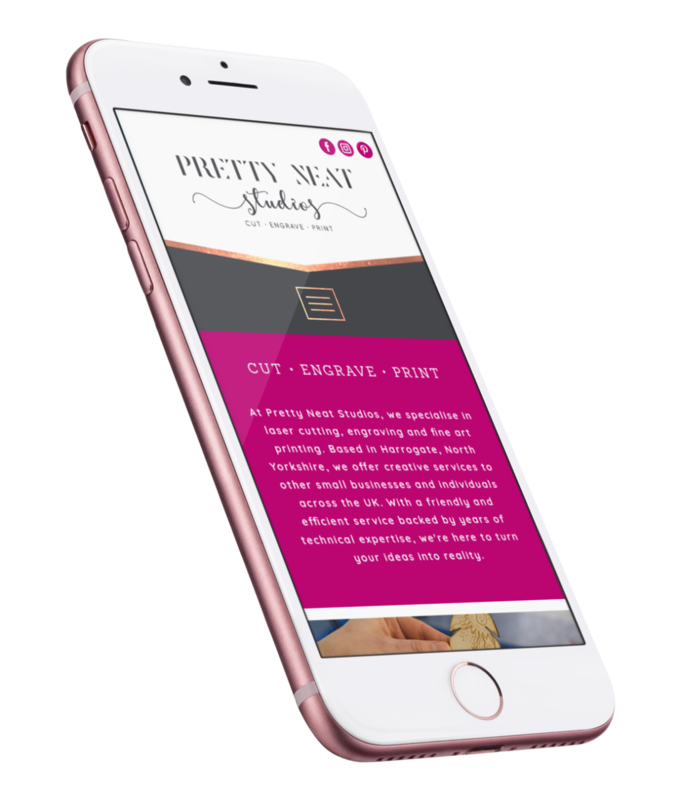 Megan of Pretty Neat Studios initially built her website using DIY web building software. While this was a good starting point, she couldn’t achieve the result she wanted using this type of service. 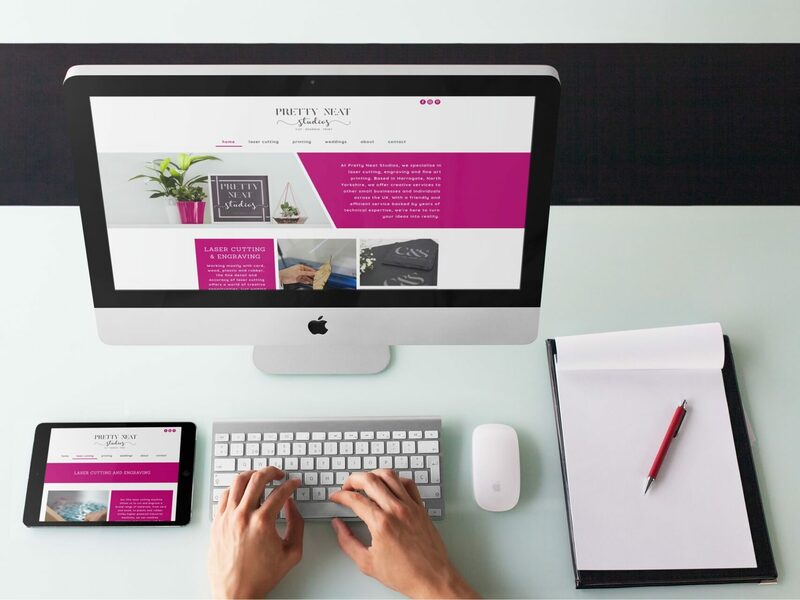 Megan approached us to help take her ideas to the next level and bring her website to life with a complete redesign and rebuild. Megan’s level of creativity brought a refreshing approach to the project, and we believe that her shared appreciation of accuracy and precision is reflected in the design. We built Megan’s new website on the WordPress platform, which will allow her to quickly make amends and additions to the website in future via an intuitive admin panel. Visit the Pretty Neat Studios website.